This is a slow-paced version of our flagship Nine Grasswren tour, one of Australia‟s epic birding adventures and is available for the upcoming year 2020. 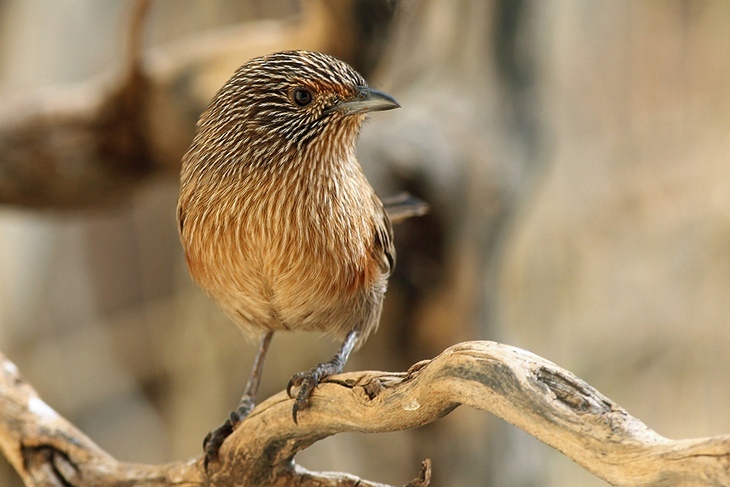 We will look for nine of Australia‟s 13 Grasswren species: Striated, Short-tailed, Western, Thick-billed, Eyrean, Grey, Kalkadoon, Carpentarian and Rusty Grasswren. From the vast expanses of Mallee scrub in the Vic-SA border region to the Flinders Ranges we travel up the Birdsville track through the outback, visit the stark country around Boulia-Winton and finish in the ranges around Mt Isa. This trip is a real adventure (yet fully accommodated), taking it easy by adding an extra 4 days to the standard itinerary. We have secured access to some new birding locations exclusively for this tour. The rewards will be some of Australia‟s most sought-after outback species, wonderful scenery and great camaraderie. Accommodation will be of the highest available standard; the drives have been shortened; we’ll take plenty of breaks; the food will be of the best available. Read the PDF brochure for more information.